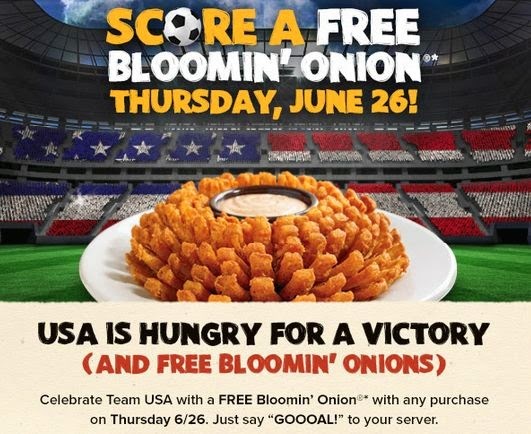 Freedom Rockz: Free Bloomin Onion @ Outback Steakhouse®‎ Today! Free Bloomin Onion @ Outback Steakhouse®‎ Today! Get a Free Bloomin Onion @ Outback Steakhouse®‎ Today! Just click the link below to find your nearest location. Say "Goooal!" with any purchase & get a free Bloomin Onion. I love Bloomin Onions!! Yum!